I’ve joined an amazing group of authors for a very special anthology. All proceeds will go to Room to Read, a charity that helps women and girls around the world get an education. My story is A Damsel and a Demigod, a Guild Codex tale featuring Kai. 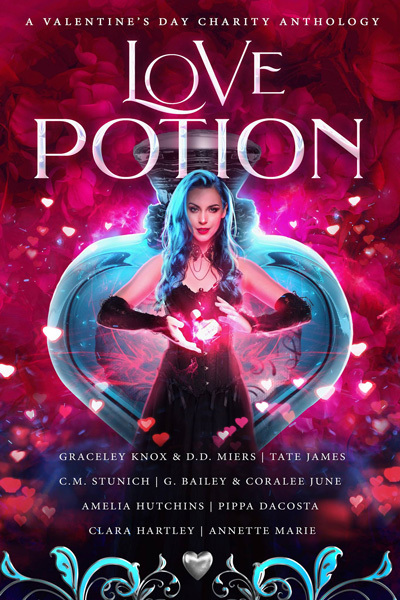 Love Potion includes 8 stories by 10 authors, is only 99c, and it’s for a great cause! Love Potion releases February 9th, enjoy!